Instantly downloadable sheet music by Alison Hedger for voice and other instruments of MEDIUM skill level. Alle Notenausgaben von Finale (from The Ten Minute Nativity) zum Herunterladen bei VirtualSheetMusic. Alle Noten von Alison Hedger zum Herunterladen bei VirtualSheetMusic. Instantly downloadable sheet music by Tony Springer for voice and other instruments of MEDIUM skill level. Alle Notenausgaben von Santa Baby zum Herunterladen bei VirtualSheetMusic. Alle Noten von Tony Springer zum Herunterladen bei VirtualSheetMusic. Instantly downloadable sheet music by Johann Strauss for voice and other instruments of MEDIUM skill level. Alle Notenausgaben von Artist`s Life zum Herunterladen bei VirtualSheetMusic. Alle Noten von Johann Strauss zum Herunterladen bei VirtualSheetMusic. Instantly downloadable sheet music by Gary Morris for voice and other instruments of MEDIUM skill level. Alle Notenausgaben von Makin` Up For Lost Time (The Dallas Lovers` Song) zum Herunterladen bei VirtualSheetMusic. Alle Noten von Gary Morris zum Herunterladen bei VirtualSheetMusic. Instantly downloadable sheet music by Skip Ewing for voice and other instruments of MEDIUM skill level. Alle Notenausgaben von You Had Me From Hello zum Herunterladen bei VirtualSheetMusic. Alle Noten von Skip Ewing zum Herunterladen bei VirtualSheetMusic. Instantly downloadable sheet music by Willie Nelson for voice and other instruments (Vocal Volume 2) of MEDIUM skill level. Instantly downloadable sheet music by Margo Guryan for voice and other instruments of MEDIUM skill level. Alle Notenausgaben von Please Believe Me (A Watergate Love Story) zum Herunterladen bei VirtualSheetMusic. Alle Noten von Margo Guryan zum Herunterladen bei VirtualSheetMusic. Instantly downloadable sheet music by Sid Wayne for voice and other instruments (C Instruments) of MEDIUM skill level. Alle Notenausgaben von It`s Impossible (Somos Novios) zum Herunterladen bei VirtualSheetMusic. Alle Noten von Sid Wayne zum Herunterladen bei VirtualSheetMusic. Instantly downloadable sheet music by Tor Erik Hermansen for voice and other instruments of MEDIUM skill level. Alle Notenausgaben von Take A Bow zum Herunterladen bei VirtualSheetMusic. Alle Noten von Tor Erik Hermansen zum Herunterladen bei VirtualSheetMusic. Instantly downloadable sheet music by John Stephens for voice and other instruments of MEDIUM skill level. Alle Notenausgaben von It Don`t Have To Change zum Herunterladen bei VirtualSheetMusic. Alle Noten von John Stephens zum Herunterladen bei VirtualSheetMusic. Instantly downloadable sheet music by James Monaco for voice and other instruments (C Instruments) of MEDIUM skill level. Alle Notenausgaben von You Made Me Love You (I Didn`t Want To Do It) zum Herunterladen bei VirtualSheetMusic. Alle Noten von James Monaco zum Herunterladen bei VirtualSheetMusic. Instantly downloadable sheet music by Miscellaneous for voice and other instruments of MEDIUM skill level. Alle Notenausgaben von The Lord`s Prayer zum Herunterladen bei VirtualSheetMusic. Instantly downloadable sheet music by Franz Joseph Haydn for voice and other instruments of MEDIUM skill level. Alle Notenausgaben von Symphony No 104 In D zum Herunterladen bei VirtualSheetMusic. Instantly downloadable sheet music by Wolfgang Amadeus Mozart for voice and other instruments of MEDIUM skill level. Alle Notenausgaben von Sonata In C zum Herunterladen bei VirtualSheetMusic. Instantly downloadable sheet music by Kelley Lovelace for voice and other instruments of MEDIUM skill level. Alle Notenausgaben von He Didn`t Have To Be zum Herunterladen bei VirtualSheetMusic. 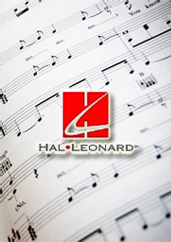 Alle Noten von Kelley Lovelace zum Herunterladen bei VirtualSheetMusic. Instantly downloadable sheet music by Ty Lacy for voice and other instruments of MEDIUM skill level. Alle Notenausgaben von You`ll Think Of Me zum Herunterladen bei VirtualSheetMusic. Alle Noten von Ty Lacy zum Herunterladen bei VirtualSheetMusic. Instantly downloadable sheet music by Alan Silvestri for voice and other instruments of MEDIUM skill level. Alle Notenausgaben von Forrest Gump Suite zum Herunterladen bei VirtualSheetMusic. Instantly downloadable sheet music by Cat Stevens for voice and other instruments of MEDIUM skill level. Alle Noten von Cat Stevens zum Herunterladen bei VirtualSheetMusic. Alle Notenausgaben von Timothy Gone zum Herunterladen bei VirtualSheetMusic. Instantly downloadable sheet music by Joel Newman for voice and other instruments of MEDIUM skill level. Alle Notenausgaben von Kisses Sweeter Than Wine zum Herunterladen bei VirtualSheetMusic. Alle Noten von Joel Newman zum Herunterladen bei VirtualSheetMusic. Instantly downloadable sheet music by Robert Clivilles for voice and other instruments of MEDIUM skill level. Alle Notenausgaben von Emotions zum Herunterladen bei VirtualSheetMusic. Alle Noten von Robert Clivilles zum Herunterladen bei VirtualSheetMusic. Instantly downloadable sheet music by Steve Cropper for voice and other instruments of MEDIUM skill level. Alle Notenausgaben von In The Midnight Hour zum Herunterladen bei VirtualSheetMusic. Alle Noten von Steve Cropper zum Herunterladen bei VirtualSheetMusic. Instantly downloadable sheet music by Zacar for voice and other instruments of MEDIUM skill level. Alle Notenausgaben von When A Child Is Born zum Herunterladen bei VirtualSheetMusic. Alle Noten von Zacar zum Herunterladen bei VirtualSheetMusic. Instantly downloadable sheet music by Gioacchino Rossini for voice and other instruments of MEDIUM skill level. Alle Notenausgaben von William Tell Overture zum Herunterladen bei VirtualSheetMusic. Alle Noten von Gioacchino Rossini zum Herunterladen bei VirtualSheetMusic. Instantly downloadable sheet music by Dave Loggins for voice and other instruments of MEDIUM skill level. Alle Notenausgaben von You Make Me Want To Make You Mine zum Herunterladen bei VirtualSheetMusic. Alle Noten von Dave Loggins zum Herunterladen bei VirtualSheetMusic. Instantly downloadable sheet music by Phil Vassar for voice and other instruments of MEDIUM skill level. Alle Notenausgaben von My Next Thirty Years zum Herunterladen bei VirtualSheetMusic. Alle Noten von Phil Vassar zum Herunterladen bei VirtualSheetMusic. Instantly downloadable sheet music by Jayson Bridges for voice and other instruments of MEDIUM skill level. Alle Notenausgaben von Over And Over zum Herunterladen bei VirtualSheetMusic. Alle Noten von Jayson Bridges zum Herunterladen bei VirtualSheetMusic. Alle Notenausgaben von Up Where We Belong zum Herunterladen bei VirtualSheetMusic. Alle Notenausgaben von Good-Bye, July zum Herunterladen bei VirtualSheetMusic.